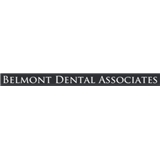 Belmont Dental Associates (Haledon) - Book Appointment Online! Belmont Dental Associates, practices a full scope of general and cosmetic dentistry with expertise ranging from porcelain veneers to dental implants, crowns and bridges. Dr Lembo can now correct a wide variety of so-called permanent cosmetic dental problems, and can literally redesign your smile. General & Cosmetic Dentistry can give you a smile you're happy to show off. Modern cosmetic dentistry techniques make it easier than ever for you to have a bright, even smile. Our office is located at 476 Belmont Ave, Haledon, NJ. I called to get my wisdom tooth examinated and was told I could come in immediately. They also have a very affordable dental plan for those like myself didn't have dental coverage. When I arrived I filled out some paperwork and within minutes I was in a chair getting X-rays and greeted by a very friendly doctor. Dr Lembo and his team are great and I would recommend this office to anyone who seeks dental help or simply looking for a new dentist.